This consideration can create design challenges as we look for materials & logistics solutions which suit the needs of both the consumer & distribution channel, but also the product requirements & economic limitations. Globally today, there is increasing awareness of the issues caused by single use plastic packaging & as a result there are various organisations pioneering change in this space via various methods. A good example of a company who have changed the model of typical packaging is deodorant brand Myro. The system designed for Myro, involves giving away to customers a multifaceted outer packaging for deodorant which is reusable, and then selling the scented inner pods on a subscription basis. The company claim to offer a benefit here via the reusability of the outer, however their refills are delivered also in plastic, all be it recyclable. So, perhaps still some way to go to a perfect environmental solution, though taking some steps toward different user behaviour. Myro’s refillable system is certainly not the only one around. The logistics of managing the refilling of packages has been tackled differently in Germany since 2003 via the Pfand system. Pfand is a deposit system which allows the return of glass and plastic bottles to supermarkets in exchange for store credit. The deposit is up to 15 euro cents for glass bottles, and 25 cents for plastic bottles. In the system, there are two streams for what happens to the returned plastic: a refillable stream, and a single use stream which goes to recycling. Meanwhile all the glass vessels are refilled. The Pfand system has had an unintended additional benefit to the community. 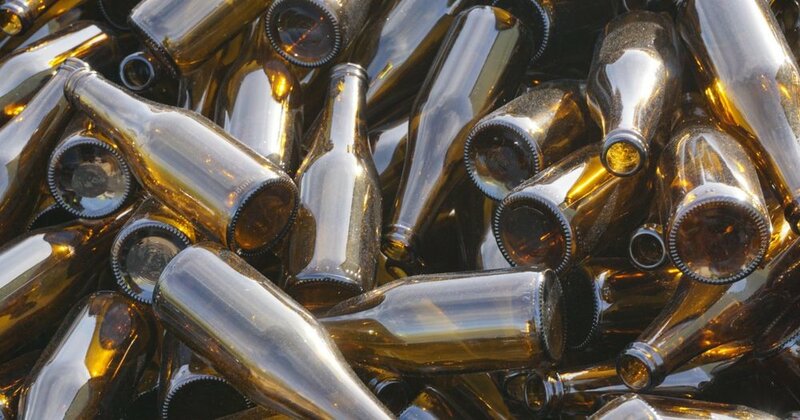 As a result of the empty bottles now having value, in many German cities, those left laying around are often collected off the streets by those in the community in financial need and returned for store credit. Unfortunately, despite the benefits of this system, many retailers are moving away from reusable packaging and producing single use containers as they seek savings via cheaper plastics & avoiding dealing with the logistics of cleaning and reusing bottles. At the introduction of the scheme the overall percentage of refillable bottles produced in Germany was about 80% now it is less than 50%. While this is happening in the major supermarkets of Germany, there has been a rise in grocery stores that do away with packaging altogether. In Berlin’s famous hipster heaven, Kreuszberg, sits Original Unverpackt. This store is completely packaging free offering a range of 600 different products which buyers take home in their own, reusable bags and containers. The success of Original Unverpackt since they opened in 2016 has inspired similar supermarkets across Germany and the rest of the world. With the recycling issues plaguing Australia and others since our Asian neighbours have stopped accepting our recycling, going back to the mantra of reduce, reuse, recycle is important. Although often forgotten, reducing and reusing a product or packaging should be a priority over recycling it, this is exactly the aim of a new American startup, Loopstore. Loopstore are attempting to create a circular economy, utilizing a delivery system similar to that used by milkmen in days gone by. Partnering with over 25 companies, Loop’s customers will be able to order products that come delivered to their door in reusable stainless steel and glass packaging, paying a deposit at purchase for the packaging that can be reused roughly 100 times. The first trial for Loop is scheduled to begin in Paris and New York in May this year, limited to only 5000 customers. If the project is successful more brands are set to be included in the catalogue, as well as expansion of the offering to London, Tokyo and San Francisco. For the readers at home in Australia, we are very happy to say that there is a home grown organisation also preparing to trial a Grocery solution here in Melbourne with reusable packaging and an objective of eliminating single use plastics from our Supermarkets. This organisation is “Unpackaged”, and we here at Hone Product Design have been lucky enough to work with founder Irene Chen to assist in the development of the upcoming pilot of the Unpackaged system. The single use packaging issues impacting the world environment require addressing. There are many models that are being trialled around the world to resolve this. As a member of the public, we can all do our bit by choosing to buy responsibly, because at the end of the day, the consumer dollar is power. To find out more about Irene’s great work with Unpackaged and how you can support the initiative locally, have a look at the Upackaged website here & keep track of the upcoming pilot. If you have any queries around Packaging or Product design, get in touch with us here in Melbourne on (03) 9939 8880.